William Westwood's rise to the top of Stanley Brothers is quite a story and one that is of really interest to me and I'm unsure on his actions to get to where he did. Born 15th March 1857 in Maidstone, Kent. He was one of 5 children to William and Harriet Westwood. They moved to Buckingham when he was about three or four and here he spent all his childhood. As a teenager there were signs that he was a bright young fellow and was training to be a teacher. At the age of just 24, William along with his brother John and his wife had moved to the Midlands and were living on Coton Road, Nuneaton. 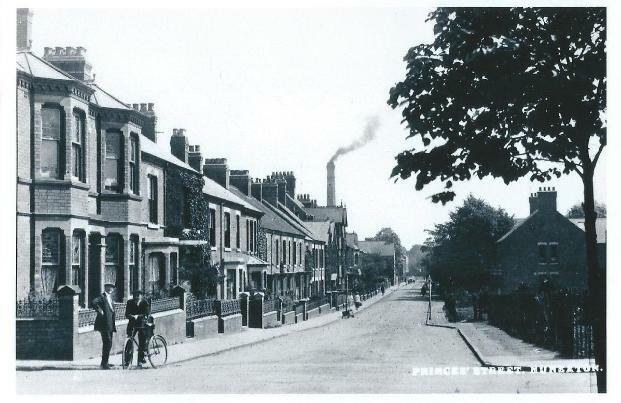 John had a job as a cashier at Stanley Brothers Brick and Tile Works on Swan Lane (Coton Road) and William was a teacher at a private school (not sure where though). No sooner had they settled into life in Nuneaton, tragedy struck. In 1884 John died aged just 28, his position therefore needed filling. William stepped up to help cover the job and it was the first step on the Stanley Brothers ladder to the top. The Brickyard Officials from the Coronation booklets, thanks to Nuneaton Library who have a copy of this booklet in their collection. By the turn of the century William had become the company secretary (see above) and was now living at 43 (Hazeldean) Princess Street. This position came with big responsibility, he was in charge of the efficient administration of the company, making sure all decisions the board of director's approved were implemented and putting his name to all legal documents. He needed to keep all the shareholders informed of changes, along with paying dividends and keeping accounts up to date. William had become an important cog in the Stanley Brothers business. He was also seen writing letters for Reginald's other projects, contacting Messenger and Co the company who fitted the heating system at the Gate Hotel . Because Reginald Stanley's wealth was diminishing and with new more powerful members in the boardroom, did William see a chink in the Armour of his boss. He was an ambitious man and the rise through the company must have given him a feeling of invincibility. Reading through the boardroom meetings minutes from 1906-1909 recently, at Warwick County Records Office. Reginald was slowly being pushed to one side by new director Henry (Harry) Smith Murray a wealthy wool merchant from Scotland. 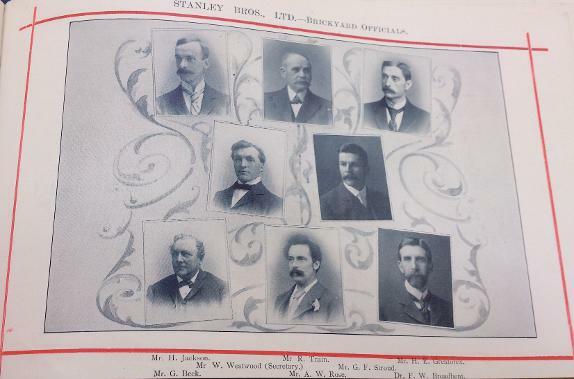 Eventually after a board meeting in May 1908, both Murray and Westwood took control of the company from Reginald who stepped down as chairman and became a advisory director. Mr Westwood was then called back in and the Chairman conveyed to him the decision arrived at, explaining that the gift was in recognition of his many years of service on behalf of the Company, which the Directors considered was deserved. An amazing amount of money for a man who had dedicated all his energy and time to the company. So much so that just a few months later on the 9th of May, the Chairman had the sad news of informing the Board that Mr Westwood had passed away. Had his work taken its toll on him? He died at the age of just 59 and for some reason he never married. His sister in law Susannah, with whom he lived, received a letter from the board telling of their sadness at the news of his untimely death. He was buried at Chilvers Coton Churchyard (see below).